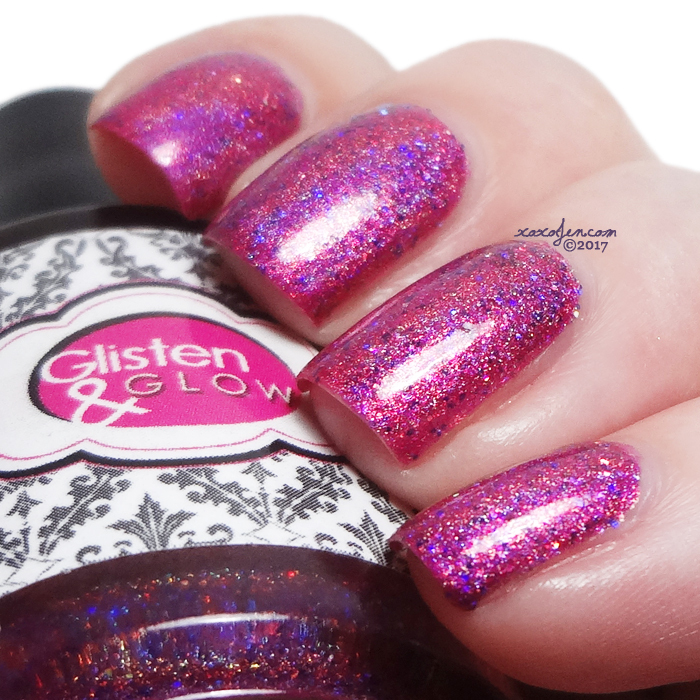 Today I'm sharing Glisten & Glow's Polish Con Limited Edition polishes! They're both stunning and one of them is super limited. You'll want to get your hands on both! A berry colored linear holographic polish loaded with purple and blue holo microglitters and a dusting of silver holo microglitters and copper shimmer. 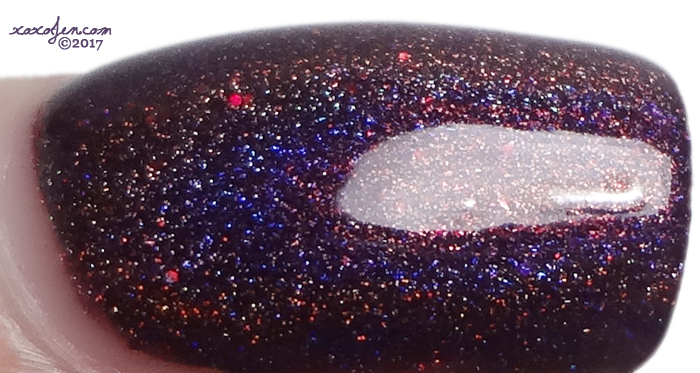 Quantity is limited: Only 1 batch of this polish was made and will not be re-made. If it does not sell out at the Polish Con event, then it will be available online May 5th. This is so shiny and sparkly! It has a metallic sheen to it, that is quite eye-catching! I wore two coats with topcoat for opacity, formula was excellent and easy to apply. For ease of removal, I recommend the foil method or using a peel off base coat. 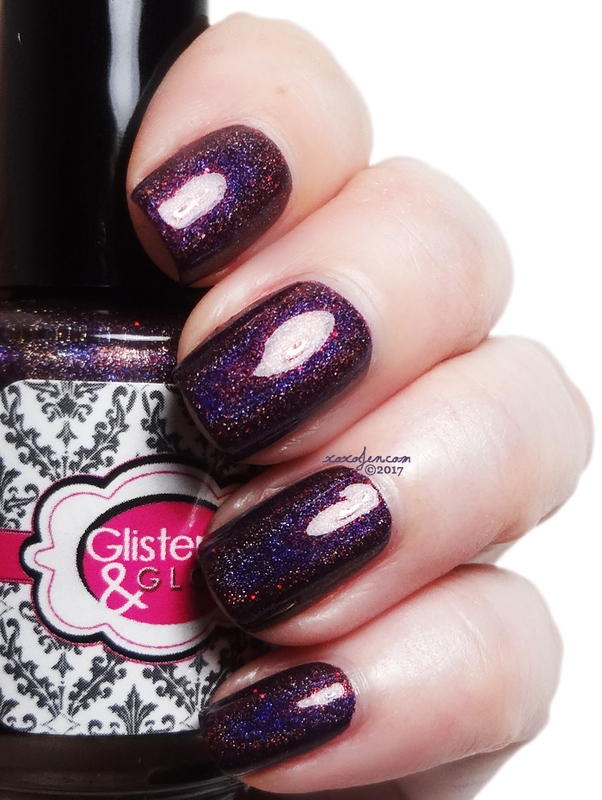 A collaboration polish with beauty blogger Nicole @hellomissniki (www.hellomissniki.com) and Glisten & Glow. It will be launching at Polish Con on April 29th and Nicole herself will be selling it at the Glisten & Glow booth at the show! 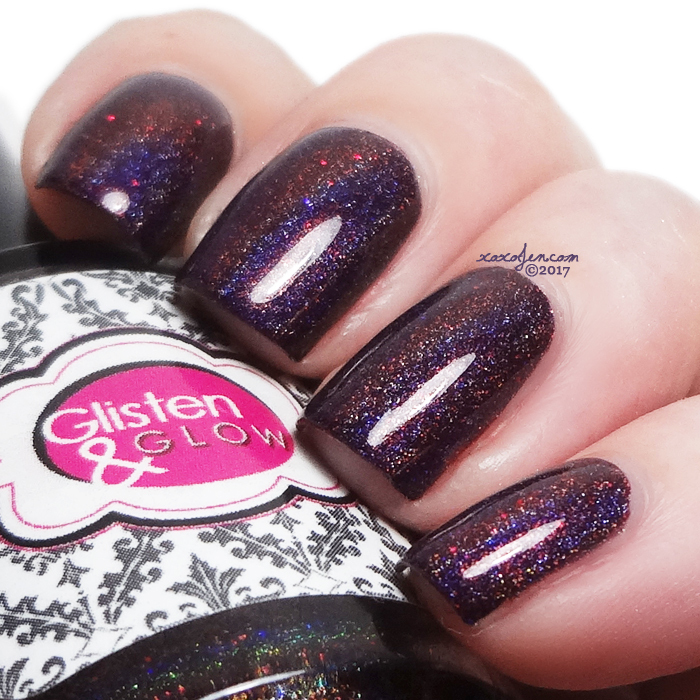 This polish is a dark vampy purple toned burgundy linear holographic polish with added pops of red holo microglitter. 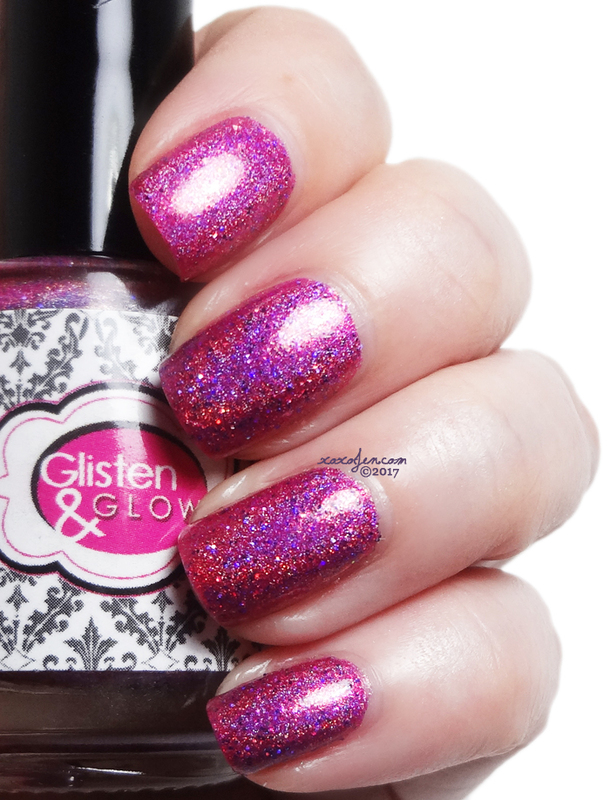 It's an absolutely stunning shade you won't want to miss! Just look at the blue flame and those red sparks! I wore two coats and a topcoat but it is opaque in one coat. The formula was fantastic, buttery smooth and easy to apply. I hope I'll see you at Polish Con! 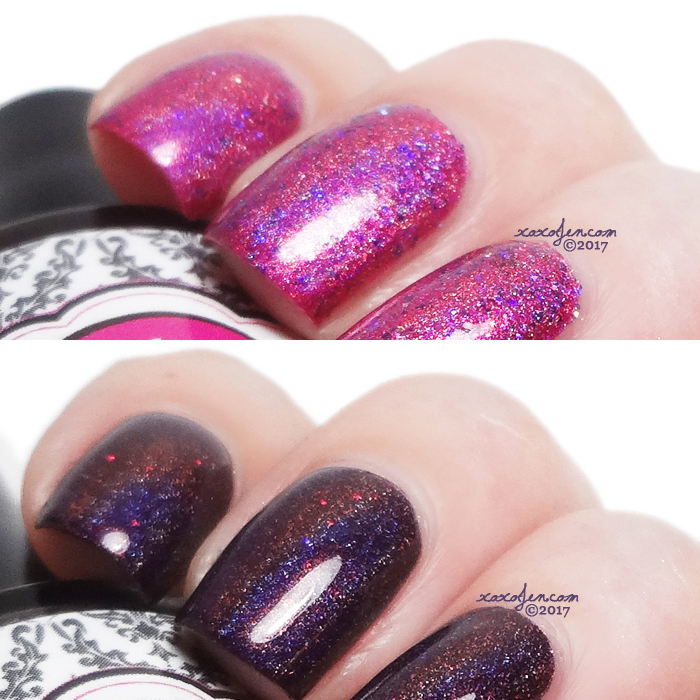 Let me know what you think of these polishes, do you have a favorite Glisten & Glow polish? I wish you were going too!!! Both of them look great! I want them now lol.